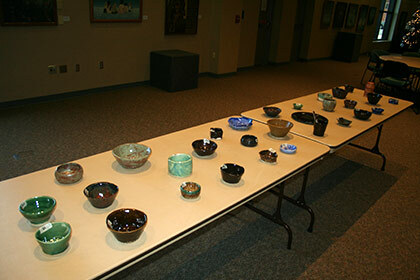 Students in Cowley College’s Art Club raised more than $500 during the 10th annual Chili Bowl sale held Tuesday, December 6 in the Earle N. Wright Community Room. 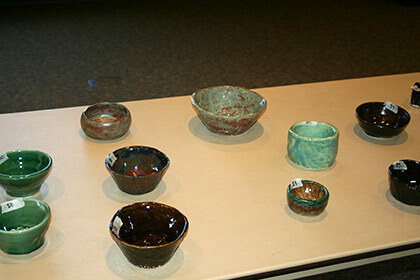 Individuals had an opportunity to purchase a ceramic bowl made by members of the Art Club and eat the bonus bowl of homemade chili. "We had great cooperation within the Art Club and the community," Visual and Performing Arts Department Chair Mark Flickinger said. "We had some really special pieces and the event is something I look forward to every year." Along with the event a Chili Cook off was held. There were four entries and the Skills USA Club took home top honors. The money raised will go towards the Art Club’s upcoming trip to New York.